Weak mobile customer service is harming customer engagement, according to Gartner, Inc. No rallying principle in the enterprise matters more than the creation of superior customer engagement and IT leaders will need to innovate in engaging customers on all channels and have the metrics to choose the right projects. By 2017, one third of all customer service interactions will still require the support of a human intermediary. Automation and intelligence agents are reducing the percentage of customer support interactions that require a human to solve. 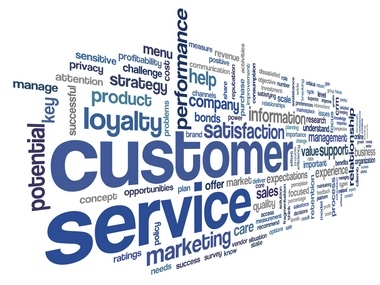 However, the pace of introduction channel choice (such as sensors, virtual customer assistants, advanced search, kiosks and in-line video chat) and the focus on personalised customer experiences will require companies in most industries to retain a highly trained core of customer service professionals. Looking across industries and the world, nearly 60 percent of customer service interactions required the intervention of a human support agent in 2014. Gartner predicts that this will be cut nearly in half over the next 24 months through more radical self-service, communities, alerts and mobile devices. By 2018, five percent of customer service cases will be initiated by Internet-connected devices, up from 0.02 percent in 2014. The installed base of “things,” excluding PCs, tablets and smartphones, will grow to 26 billion units in 2020. By this time, a home could have more than 500 smart objects collaborating in a personal Internet of Things (IoT). As things, places, people and systems become increasingly connected, the ability to monitor operations, statuses, service levels and many other metrics become possible. The added connectivity, communications and intelligence of things make many of them agents for services that are currently requested and delivered through people. More than 100 of the 500 largest global businesses will introduce video-based chat by 2018 for customer-facing interactions. Driven by the fast growth of mobile devices and companies’ sense of urgency to deliver excellent customer experience as a competitive differentiator, video chat for customer interactions is rapidly rising toward an innovation peak. Entering 2015, Gartner estimates that more than 50 of the 500 largest global businesses will introduce video-based chat by 2018 for customer-facing interactions. This is set to double in three years.